A DPF filter is short for a diesel particulate filter, a dpf filter is a small filter that is only in diesel cars to help reduce the number of emissions that a diesel will produce. The DPF filter is becoming one of the most talked about pieces of technology in the world news today since diesel vehicles are facing extinction in France, England and other parts of the world. A dpf is like any other filter it can become clogged up with particles and after time may need cleaned or even a replacement. A dpf filter can clean itself through a process called dpf regeneration, the process is carried out by the filter once the diesel car has driven over 60mph for approximately 15 minutes. Here is all you need to know about your DPF filter. Why is a DPF filter needed? It’s needed to break down the harmful particles that are released as a byproduct of the combustion process, having this filter massively improves the level of emissions deposited from the car into the environment. DPF removal is illegal and should not be removed under any circumstance. If a garage offers to remove it or you know someone who has had their DPF filter removed it is, in fact illegal. Laws around this are also becoming more stringent. Diesel car owners tend to remove their DPF, as a way of improving the performance of the car and if the filter clogs up and is not cleaned, repaired or replaced then it can cause damage and ultimately lead to a repair bill. As stated above a dpf removal is illegal and when the diesel car is taken for an MoT test as of 20th May it will fail should the filter be removed. The car can also fail is the dpf looks like it has been tampered with, so removing it isn’t worth the hassle. 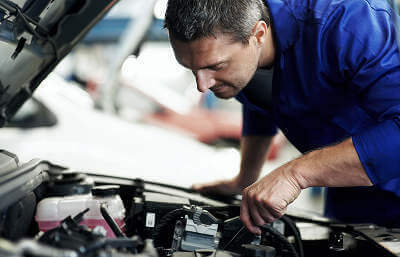 The MoT test has changed to include harsher tests on diesel cars and if the diesel exhaust is admitting any coloured fumes it will automatically fail the MoT test. Under the new test categories, this is classed as a major fault (automatic fail). If you can see the DPF warning light on your dashboard you could try taking the car on a drive and get the speed up over 60 mph for 15 to 20 minutes to help kick-start the regeneration process. This should make the warning disappear if not you should get a quote online for a check. MyCarNeedsA.com has thousands of garages across the UK who are waiting to quote on all your car needs. All you need to do is enter your reg number and a few details and MyCarNeedsA.com will do the work for you. No more calling around garages trying to get quotes and availability, it really is that easy. Don’t waste any more time searching, get quotes today.